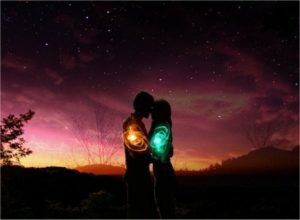 Home Twin Flame Psychic How Can I Meet My Twin Flame? Those questions are among the most often asked when it comes to twin flame relationships. We believe twin flames and soul mates are two different things. Twin flames are incredibly rare connections, while soul mates relationships are more common. But for either one, you don’t have to concern yourself with wondering how or when the meeting will take place. If you are constantly obsessed with thinking When will I meet my twin flame? we can pretty much guarantee it won’t happen. Think about what you are doing. If you have been blessed with the gift of a twin flame, you will be very spiritually evolved. You would be coming from a place of faith, not ego. Failure to leave the Universe in control of what it has created shows a lack of faith and a desire for control. This is someone working from ego. If you expect to meet your twin flame, you have to let your ego go. You have to have faith that the universe knows best, and has a plan. You may not understand the plan, know about the plan, or agree with the plan. But that is not up to you, and you have to let that go. If you believe there is a reason for everything, and that everything happens for a reason, then you must believe that there is a reason you have yet to meet your twin flame. The best way to meet your twin flame and to prepare for your twin flame’s arrival is to simply enjoy and enrich your life. Now is the time to pursue self discovery and follow your passions. Contributing to the world around you and connecting with as many like souls as possible is another great way to prepare. Twin flames tend to be of like mind and are concerned with the world around them. They want to make their mark on the world by giving back and helping as much as possible. So how can you meet your twin flame? The first thing you should do stop using the word “how”. There is no how. The universe can make anything happen, so having you meet your twin flame is a piece of cake. If you are spiritually evolved, you already know that, so drop your ego, your desire for control and your impatience. This can actually be preventing the universe from allowing you and your twin flame to connect right now. You, or they, may still may have some growth to do, before the Universe actually allows the crossing of your paths. If you have faith that you will meet your twin flame, true faith is all you need. You should be confident that your twin flame will arrive at the right time, and there is no need for you to worry about how or when. Keep the knowledge in the back of your mind and go about living and growing and learning. Don’t worry about how and when you can meet your twin flame, because the universe will do it when they find the timing is right.